SAN FRANCISCO -- Google this week made good on its plan to reposition Hangouts for the enterprise by splitting the almost four-year-old service into two separate apps. A video conferencing app, Hangouts Meet and team messaging app Hangouts Chat will serve as the enterprise equivalent to Google’s Allo and Duo apps for consumers. Meet, which aims to minimize meeting friction by simplifying the entry point for audio and video conferences, is widely available now. Hangouts Chat, which is competing more directly with Slack and Microsoft Teams, is currently in beta in Google’s early adopter program. Google has been working on positioning Hangouts for business since it announced plans for the service prior to the launch of Allo and Duo last summer. The company has followed a chaotic and confusing path to messaging for many years and the number of apps it operates in the market is growing. Google currently maintains at least nine different messaging apps, including Hangouts Meet and Hangouts Chat, Google Messenger, Google Chat, Google Voice, the Jibe rich communication services app for carriers, Allo, Duo and the Spaces group-sharing app. 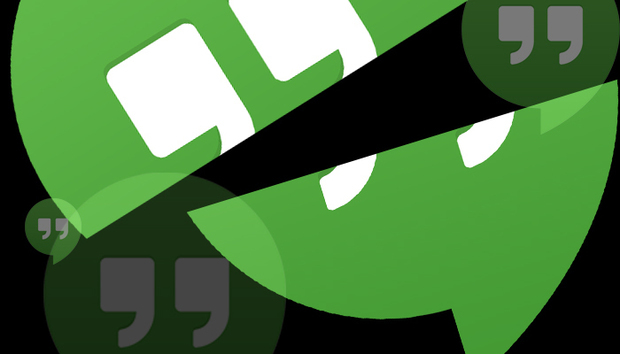 Hangouts Chat allows you to create rooms for project-specific messaging. The app, which was rebuilt for teams, includes threaded conversations, a universal search and deep integration with G Suite apps like Drive and Docs, said Scott Johnston, director of product management, at Google’s Cloud Next conference. Google is also releasing a Hangouts Chat platform so third-party vendors can integrate their services into the app, automate team workflows and implement bots. Asana, Box, Prosperworks and Zendesk are some of the company’s early partners for the platform. Google introduced a bot of its own called @meet, which uses natural language processing and machine learning to automatically schedule team meetings on Hangouts Meet and Google Calendar. Hangouts Meet is Google’s “enterprise solution for video meetings,” Johnston said. “The focus is to get you in the meeting as quickly as possible, and get the technology out of the way.” Reducing the time to start meetings is a frequent request from Google’s customers, who sometimes spend up to 10 minutes getting a meeting ready, according to Johnston. The rebuild of the Hangouts meeting experience operates on a reduced code size so meetings can start “instantly” without overtaxing processors or battery life, according to Google. Hangouts Meet supports a maximum of 30 participants, recording features and integration with Google’s Chromebox for Meetings hardware. Google also announced several updates to the G Suite of productivity apps. The company is releasing a developer preview of Gmail Add-Ons, which allows developers to integrate their services into Gmail, and a series of enterprise-focused updates to Google Drive. Team Drives, which was introduced in September, is now widely available. Google Drive, which now has 800 million monthly active users, is also gaining features like Drive File Stream, Quick Access and Google Vault for Drive, according to Google. Google’s G Suite currently has 3 million paying business customers and three of its apps are on more than a billion smartphones, according to Prabhakar Raghavan, vice president of apps at Google Cloud. Calling G Suite “an obsessive pursuit for over 10 years,” Raghavan said Google has effectively outfitted its apps, that originated in the consumer space, for enterprises.